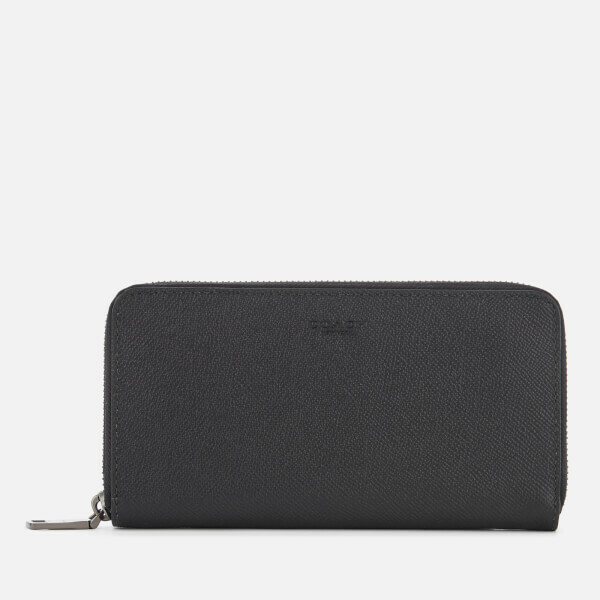 Women's black leather wallet from New York-based label, Coach. 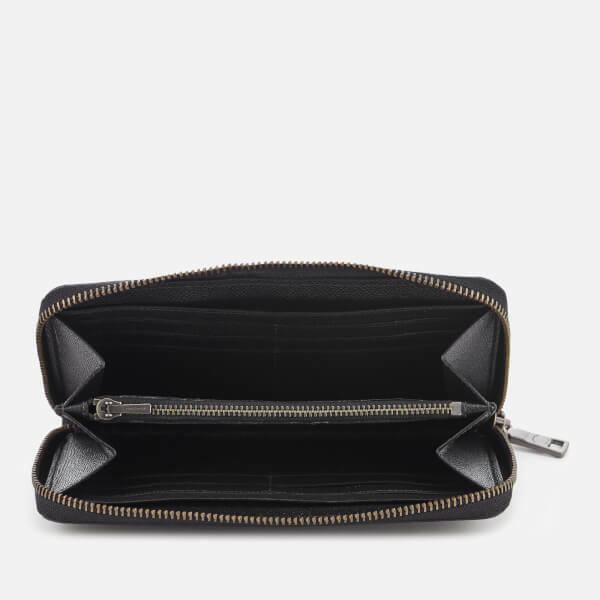 Showcasing a distinctive crossgrain texture and accordion-style sides, the zip-around purse opens to reveal twelve card slots, multiple note sections and a zipped coin pocket. 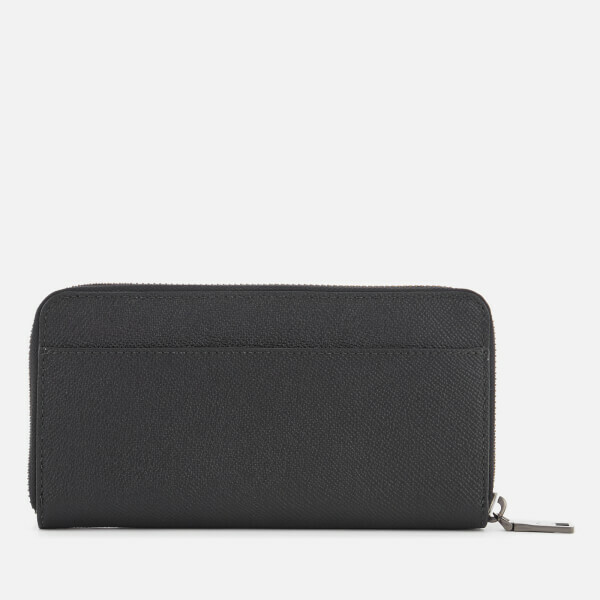 An external rear slip pocket also features. 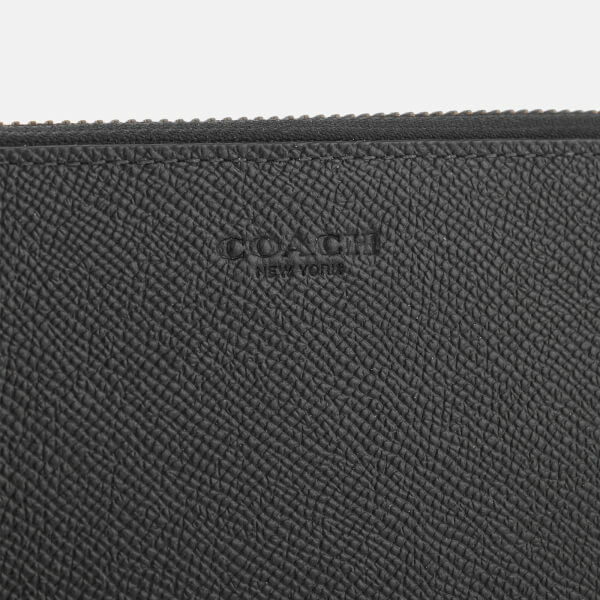 Complete with embossed branding and gunmetal-toned hardware. Fits all phone sizes up to an iPhone X and Samsung S7 Edge.